In many jurisdictions, arbitration has emerged as the pre-eminent means of resolving commercial disputes. Companies are often drawn to arbitration thanks to its international application, particularly if speed is required and the neutrality of local courts is a concern. Parties that opt for arbitration are able to resolve potentially embarrassing disputes in a timely and private manner, capitalising on the advantages offered by ADR. 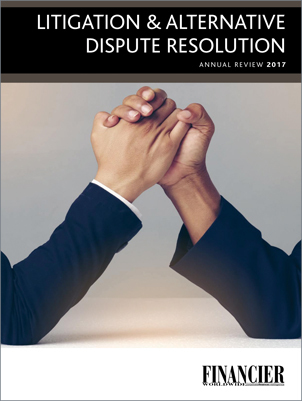 With arbitration becoming an increasingly popular means of dispute resolution, new seats are taking hold in various markets around the world, suggesting ADR will go from strength to strength moving forward.